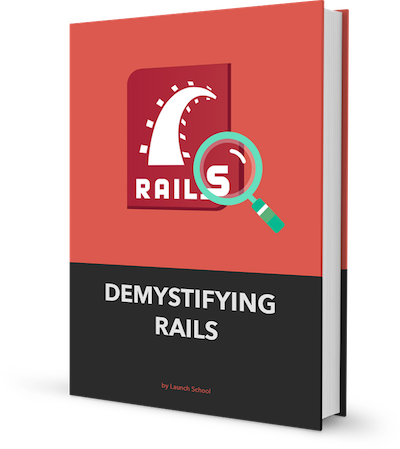 We are pleased to announce our latest book to our Open Bookshelf: Demystifying Rails. This book has been under development for about a year, and is geared towards experienced web developers who want to not just use Rails, but understand how its conventions are pieced together. As the title might suggest, this book is not a tutorial geared toward beginners, but a deconstruction of Rails conventions from first principles for experienced developers or those who have mastery of web development fundamentals. This book supplements the 301 course at Launch School. Chris Lee is an instructor at Launch School, an online school for developers. He enjoys playing basketball, coding, and talking about Mastery Based Learning.